Get FREE Installation This Spring! 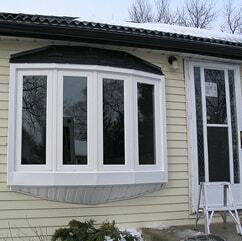 New Replacement Energy Efficient Windows in Mississauga! Vinyl windows are very popular in Mississauga and all across Canada since they have many advantages such as energy-efficiency, durability and modern design. Let us take a closer look at each advantage in particular. 1) Vinyl windows and heat. Thanks to the reliable, easily adjustable accessories as well as to a multi-chamber design of a glass unit and a profile, vinyl windows do not let cold air in the room. Moreover, all the cracks are sealed so there are no drafts whatsoever and our windows replacement company in Mississauga will make sure of that! 2) Vinyl windows and noise. Following the above, alongside with cold, any external noise or sounds will not penetrate your house, apartment or office. Any noise is reduced by about 30 decibels. For this reason, the best sound level of comfort is kept, which corresponds to 40-45 decibels, which, in turn, has always a positive effect on physical and mental state. 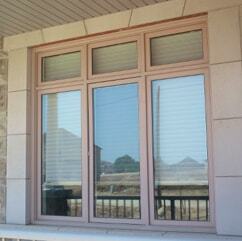 3) Vinyl windows and design. A magnificent appearance, smooth surfaces, clean lines, subtle junctions - these are the main qualities of vinyl windows. Furthermore, the possibilities are endless in terms of size, shape (round, square, triangular, oval, arc, trapezoidal, etc.) and color (they can even look like "Wood"). 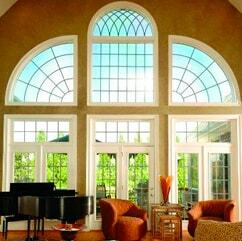 All this allows windows to blend in perfectly with any interior and exterior. 4) Vinyl windows and convenience. There is no need for you to insulate these windows in winter. Windows are easy to close and open in all weathers. 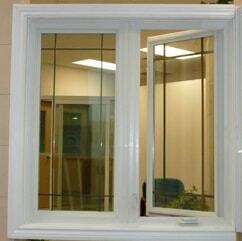 You do not need any special care and this is only a small part of all those facilities that provide vinyl windows. 5) Plastic windows and reliability. 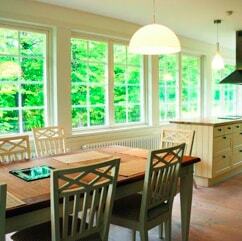 Studies have shown that the operating life of vinyl windows exceeds 40 years, regardless of the climate. 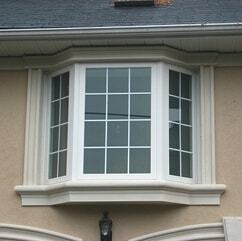 These windows are not amenable to deformation, swelling and fissuring, and they rarely break down. The profile is armored from the inside, and is very rigid. The glass is multi-chamber. Being green is really popular today. 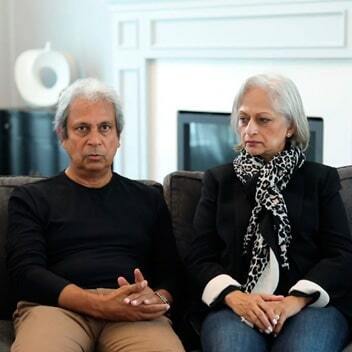 More and more people are realizing that it is no longer feasible to continue with the destructive ways that people have been leading on this planet and it is high time for action, not lots of empty rhetoric. 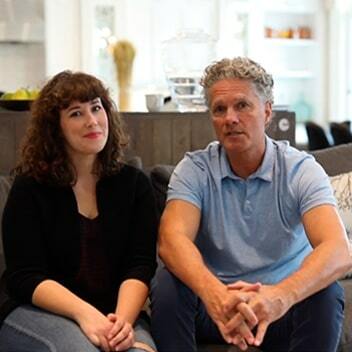 That is why many Canadians understand the importance of making their homes eco-friendly with the help of the latest materials and technologies. Windows are an important part of making homes better for the future as they can help householders control the climate and atmosphere in the home, reduce their carbon footprint and electricity bills while making the appearance of the home more pleasing to the eye. 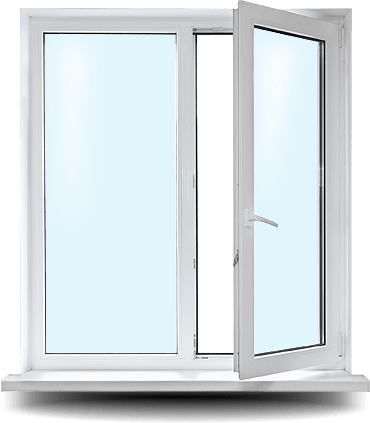 Today it is possible to get a no obligation estimate for energy efficient windows in Mississauga online and have qualified installers assess your home and make it greener within just weeks. 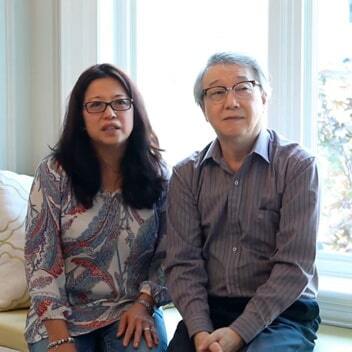 It is vital to take these steps to help Canada be more eco-friendly. In conclusion, another advantage should be noted, which is price. If you have just bought a house, say, in Green Glade, it will not cost you a fortune to have your old windows replaced. Vinyl windows are a reliable, comfortable and at the same time, they feature a simple construction, which accounts for their low price as compared with any other glazing options such as wooden ones. 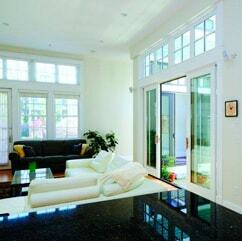 Moreover, even if the windows are accidentally damaged, they are always amenable to repair. 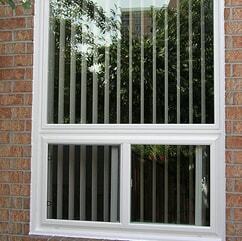 In general, vinyl windows are the most popular and the most reasonable choice of all and if you consider having your windows replaced, we suggest you make use of our windows replacement services in Mississauga. 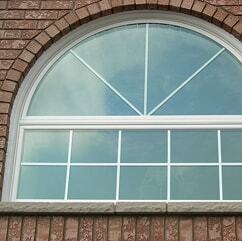 Replacement Windows Materials: What Mississauga Windows Experts Recommend?